There's much to gather, even from the very beginning of this volume. The first page starts out with a sermon preached and revised by Spurgeon that is not published (or mentioned, to my knowledge) elsewhere. The message is titled "The Gleanings of the Olives" and based on Deuteronomy 24:20, "When thou beatest thine olive trees, thou shalt not go over the boughs again: it shall be for the stranger, for the fatherless, and for the widow." "The divine command may also suggest to us the beauty of a kind consideration of those who are poor and needy in spiritual things. 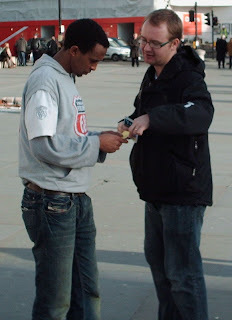 When we are preaching the gospel, we beat down from the olive tree the thick ripe fruit of the doctrines of grace; but we should remember that there are some who, through their weakness in the faith, are not able to participate with us in the higher truths; we ought therefore to remember them, and permit them to share in other portions of the Divine Word more suited to their capacities. "There should be handfuls let fall on purpose for the trembling and for the desponding; we should not be so strict in the description of character as to hand over every cluster of the spiritual vine to a small company of rich saints, but we should leave branches of the grapes of Eshcol for those whose evidences are dim, whose faith is feeble, and who but for our thoughtfulness concerning them would exclude themselves from all heavenly comfort. It is true that the comfort of the text may chiefly belong to a certain character; but be not so rigid as to shut out the humble souls who dare not put in their claim for a share in it. Leave some olives on the tree. Do not beat the text too closely. "Nor is the lesson for the preacher only; it ill becomes the hearer of the Word to be always clamorous to be himself fed under every sermon, especially if he is well instructed in the faith, and if a relish for the mysteries of the kingdom has been given to him. He must not be so selfish as to complain when the more elementary truths are preached again and again. What if they do not feed him? Are the olive trees of the Word to be so beaten for him that nothing shall remain for others? Are there not feebler folk who need spiritual sustenance? "What if he be no longer a babe in grace, and having grown to ripe manhood, is able to digest the strong meat? Yet let him not demand of his Master's servant that he should always set strong meat, and nothing else, on the table. Let the babes be fed with milk even if the man of perfect stature cares not to partake of it. Let the humble soul have his portion; yea, let even the stranger who is within the gates of the Lord's house have a share in the produce of Emmanuel's land. "We have known some who appeared to be utterly thoughtless of everybody but themselves: their one test of a sermon is their own profiting by it, and they never think that other classes beside instructed believers are to be considered by the true pastor. They demand that we shall beat the olive trees scores of times to get every berry for them alone: they even want us to extort more from our texts than they truly yield, by beating them with the rod of spiritualizing; and meanwhile, the poor in spirit are to be left to shift for themselves, that these 'dear people of God' may be surfeited. "We scorn to be subservient to their unchristian greed. Misers who hoard their gold are rightly despised; but what shall we say of those who would monopolize the Word of God? Our heart is not in the slightest sympathy with them; we hope ever to leave large gleanings for the poor of the kingdom, and never to gather all the olives for those who are in their own opinion rich and increased with goods. "In preaching, of what is thought to be a high order, there is too frequently a forgetfulness of the uninstructed. Words are used which are only understood by the cultured, and phrases are employed which are like another tongue to the common people. Where such preaching is natural, we will not indulge a censure upon it; but we earnestly maintain that at least some portions of every religious discourse ought to be so simple that the most illiterate should be able to understand them, and profit by them. There should be some gleanings even for the children, a bunch of grapes for the eager mouth of the hopeful boy, a few olives for the poor aged widow, a handful of corn for the weary labourer, a portion for seven, and also for eight. To forget the lower classes in our ministrations, will be a sin against the Lord. "It is the glory of the dispensation of Christ that 'the poor have the gospel preached unto them,' yet it would seem in the judgment of too many, to be the glory of the pulpit if its teaching is only suited to the elite, and if the pews around it are never occupied by the peasant or the artizan. We would far sooner use such 'great plainness of speech' as to appear to neglect the refined classes, than that we would be charageable with the 'wisdom of words,' or with casting a veil over the truth so that the multitude are unable to perceive it. O ye masters of Israel, think of this, and in the largeness of your hearts act accordingly! "Another bearing of the same precept would lead us in our arrangements for public teaching and evangelization, largely to consider those that are without, in the depths of spritual poverty. Provision must certainly be made for Christian people, for their families, and for those who attach themselves to our congregations; yet when this is done, all is not accomplished. Let the olives be well beaten for the household, and let the children have their portion in due season; but we must also think of the stranger, and lay ourselves out for the neglected classes. "The City of God is not a close borough, imprisoned within gateless walls, within which provender is to be hoarded, while the famine rages without. No, the leaves of the tree of life are for the healing of the nations, and the gospel is a feast for those who lie in the highways and the hedges. By some means, the careless crowds must be brought under the sound of the truth; and if they will not come to us, we must go to them, and preach Christ in the marketplace, or even in the theatre and the music-hall. "The subject grows upon our consideration when we remember the teeming millions of the heathen world, for whom but a few olives are left when the Christian Church is gathering her fruit. Alas! the money spent upon the heathendom is far too little even in proportion to that which is spent at home, and that is none too great. When we are ourselves being fed with the finest of the wheat, can we not spare a sheaf for China? When our faces are made to shine with the annointing oil, have we no oil for India and Japan? And when we are gathering the clusters of Eshcol, and satisfying our mouths with the good things of the Lord's vineyard, have we no grapes for the parched lips of Africa, no draught of wine of consolation for the dying millions of South America? Surely, there is no need to press the point; but, henceforth, Israelites indeed will not plead home claims as a reason for stinting missionary contributions. Leave a fair share of olives for the stranger; and may the Lord therefore send a blessing on the whole olive-yard, according to His wont! Last autumn, I had the joy and privilege of giving a lunchtime lecture at the Evangelical Library (78A Chiltern Street, London, W1U 5HB) on C H Spurgeon and the Work of Planting Churches. An audio copy of the lecture is available here. We were delighted to find the Banner of Truth mentioning the lecture in its magazine, and Gary Brady providing this encouraging review. We commend the lecture to you, in the hope that the spirit and heart of C. H. Spurgeon might stir you toward the great gospel work of planting churches. 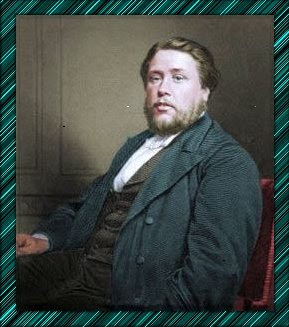 Before he died, Charles Spurgeon participated in the establishment of nearly 200 churches in and around London. Of course, he wasn’t alone; with his encouragement, many others acted directly in the effort. In this second instalment, we investigate three places where Spurgeon found help in the work of church planting. Perhaps a more significant and sacrificial expression of the church’s commitment to church planting came through sending out the best of the church to establish other churches. 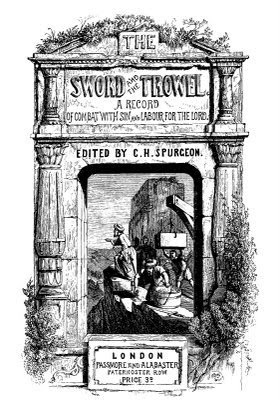 A recent biography noted that “Spurgeon encouraged his people to be out carrying the gospel on Sundays. During his career he frequently arranged to have a group of members leave the Tabernacle to start a new church, and often one of the prominent men of the Tabernacle went with them to provide leadership” (Dallimore, Spurgeon: A New Biography, 1984). On one occasion, 250 of the church people went away into a new church start. Spurgeon was 22 years old when he founded the Pastor’s College. Out of his desire to see men prepared to preach the everlasting gospel to a lost world, nearly 900 pastors and evangelists during his lifetime owed their training to the college. When Spurgeon was 31, he and two other ministerial friends, Charles Brock and William Landels, established the London Baptist Association. The primary purpose for launching the association was the sharing and promoting of the gospel of Jesus Christ. 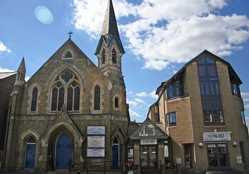 They aimed to plant one new Baptist church per year in London or the surrounding towns. During the first eleven years, sixty-two new churches were founded, fifty-three as a direct result of help from Spurgeon’s students at the Pastor’s College. “Oh, minister of the gospel! stand for one moment and bethink thyself of thy poor fellow creatures! See them like a stream, rushing to eternity-ten thousand to their endless home each solemn moment fly! See the termination of that stream, that tremendous cataract which dashes streams of souls into the pit!